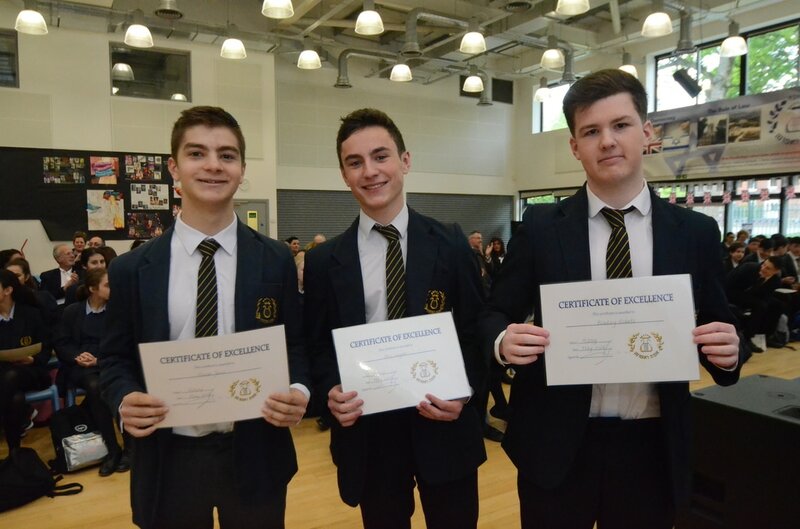 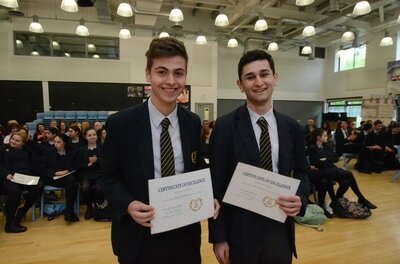 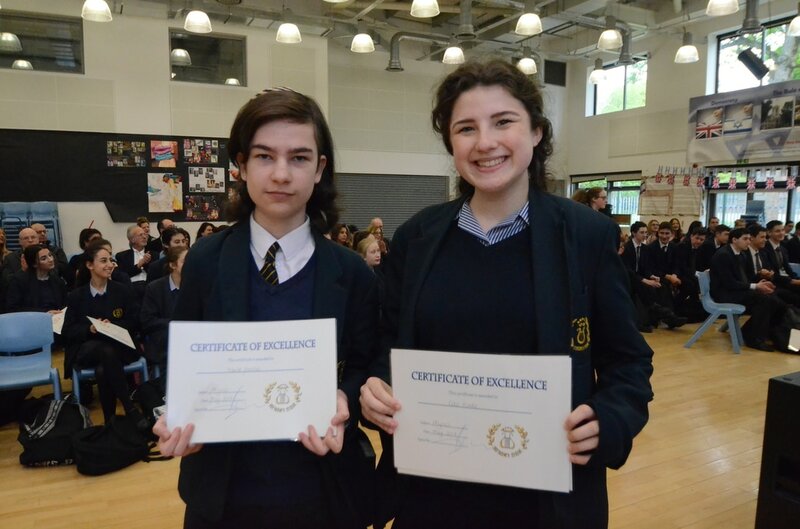 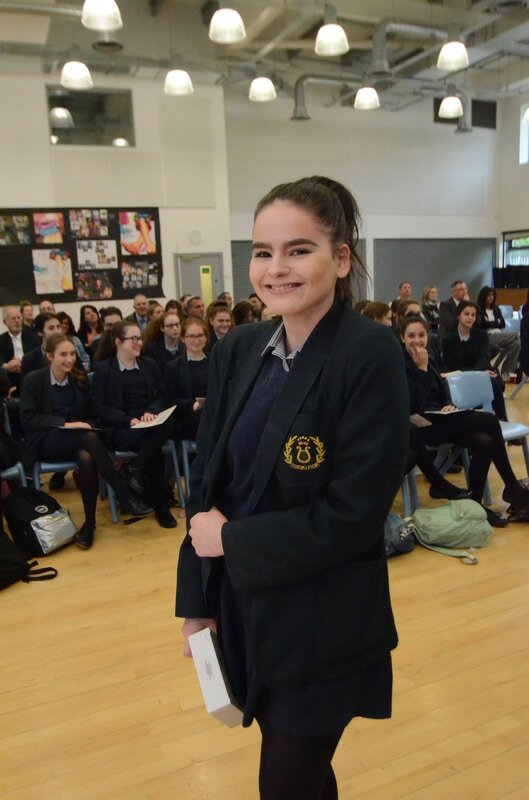 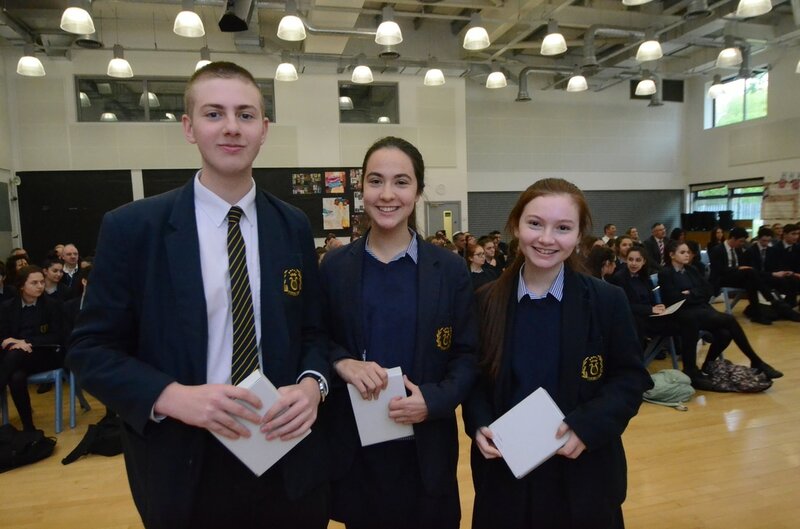 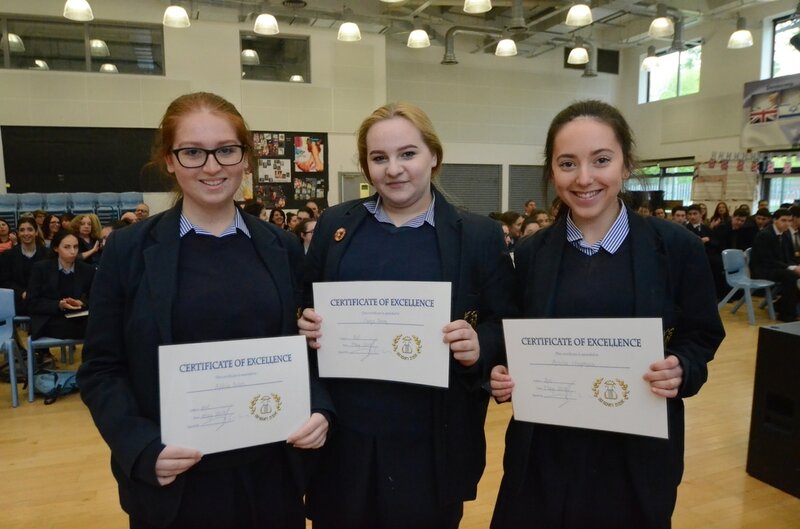 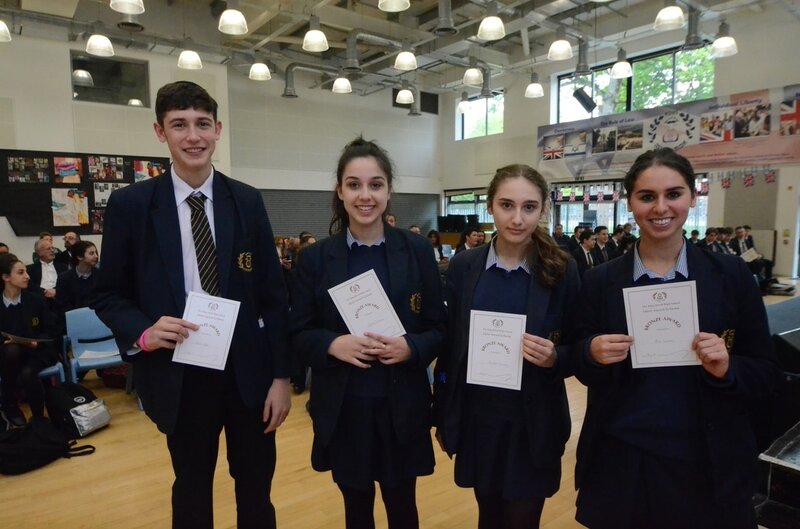 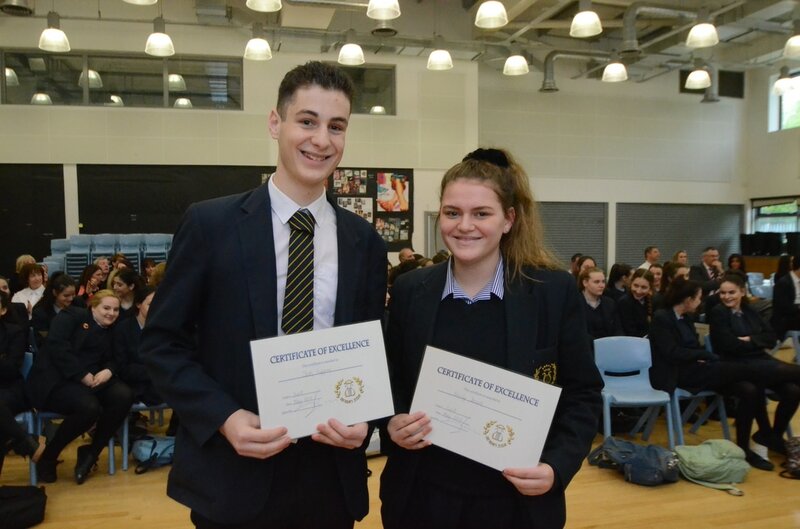 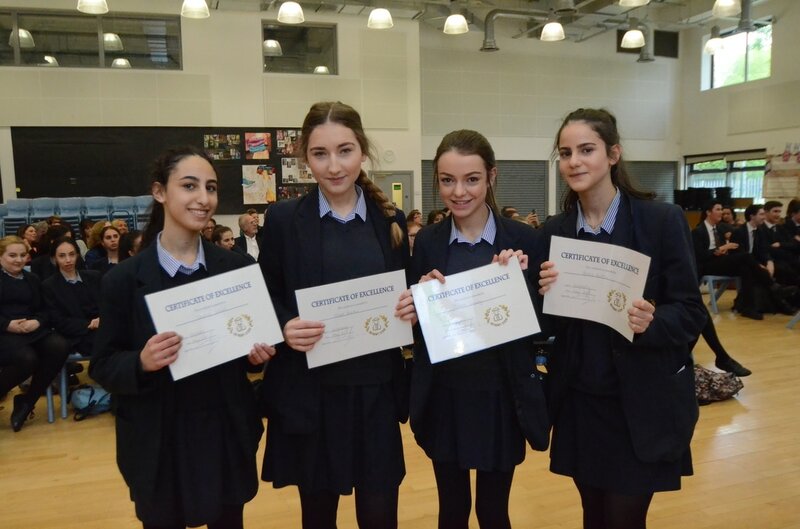 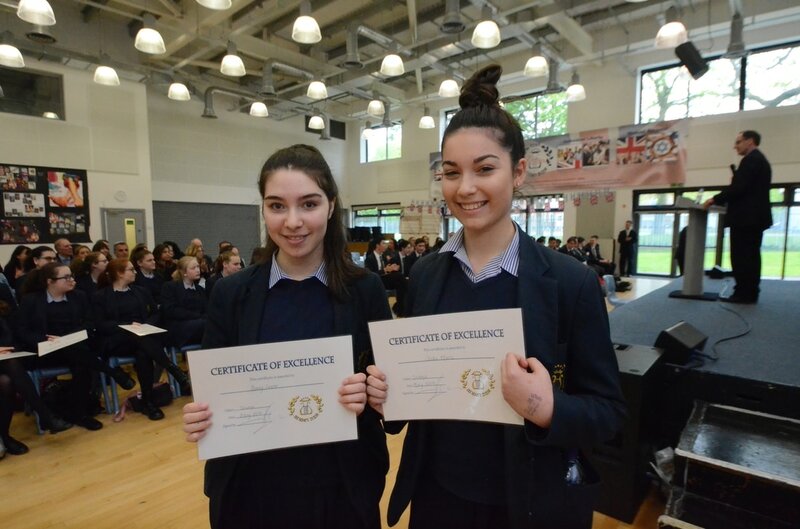 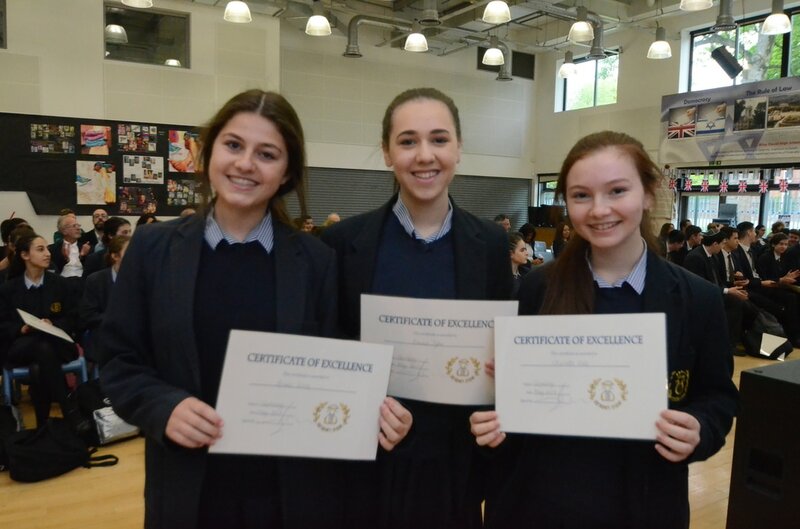 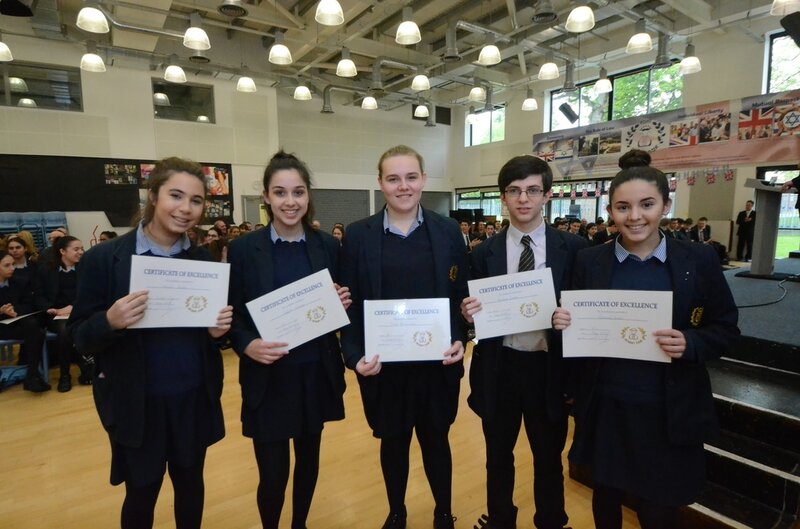 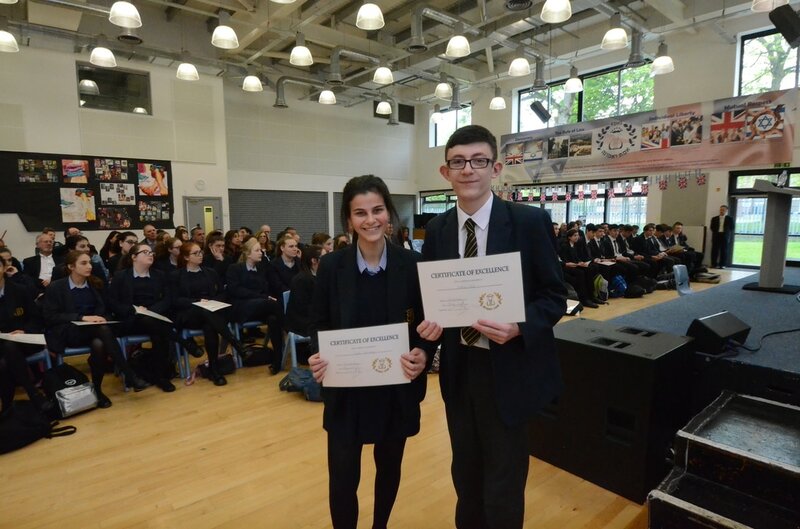 Parents, teachers and governors joined year 11 students on 9th May for our annual main school prize-giving. Mr Marvin addressed the students, praising them for their efforts and enthusiasm this year and encouragement for their forthcoming examinations. 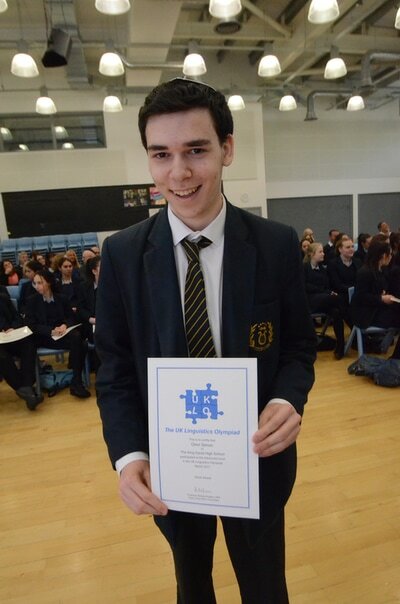 You can read Mr.Marvin's address here. 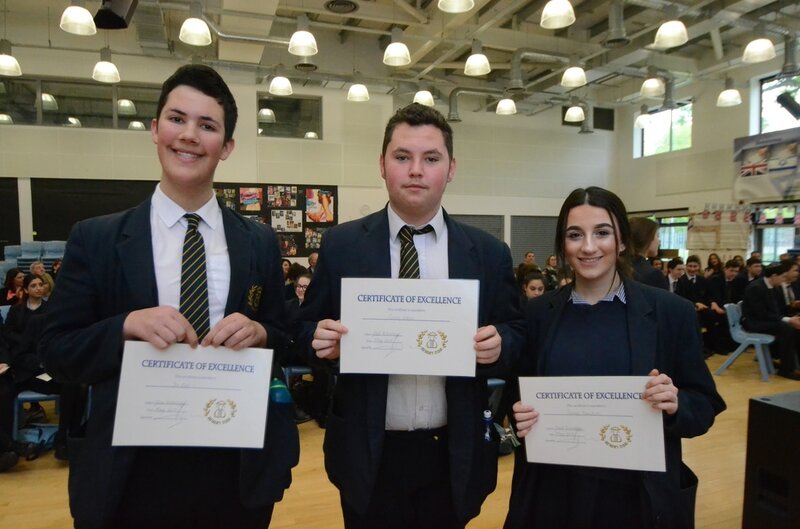 As always, prizes winners were very hard to select when so many students are role models in terms of effort, approach and excellence. 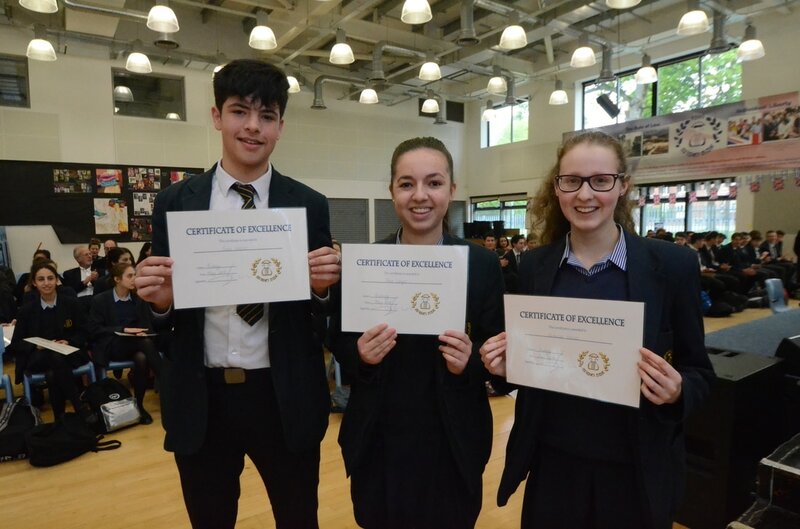 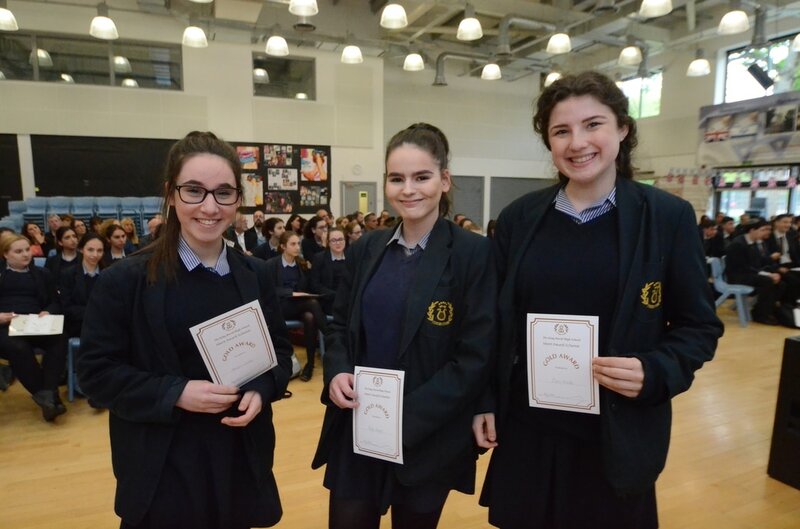 Students were also awarded with Middot prizes for their impressively altruistic contributions to the school and wider community. 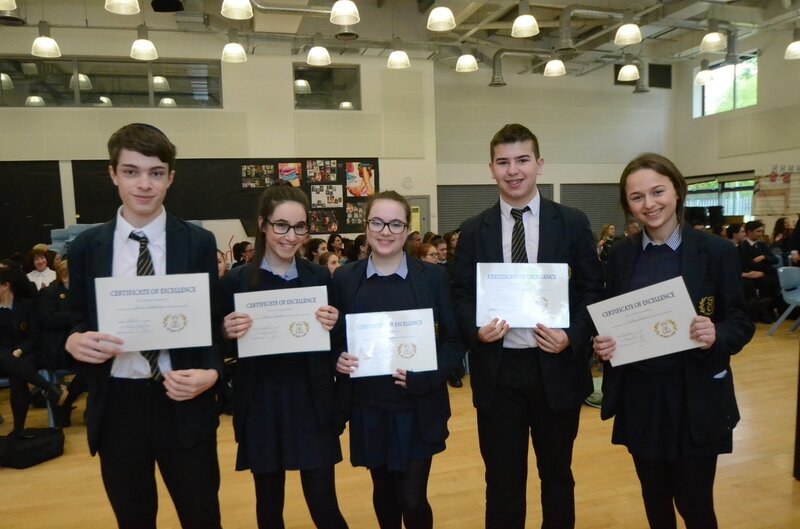 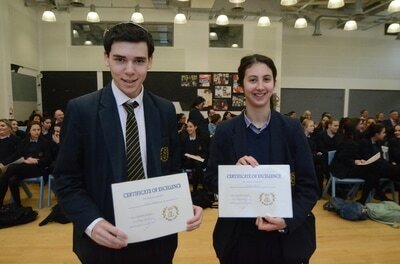 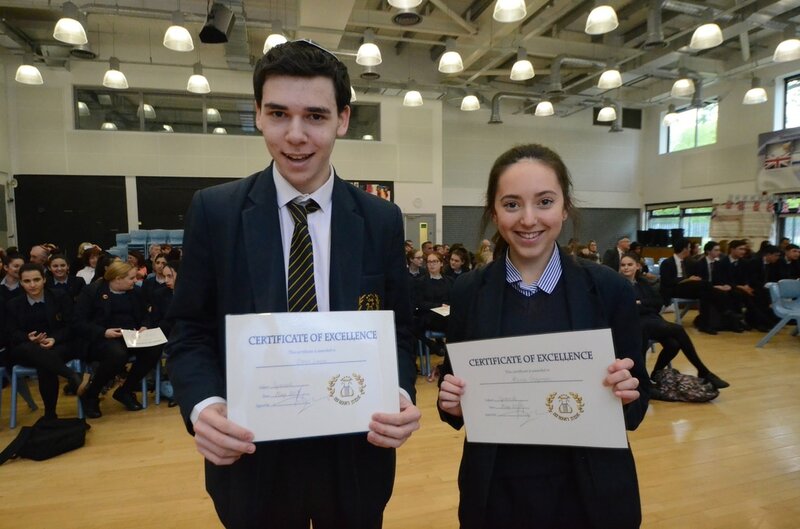 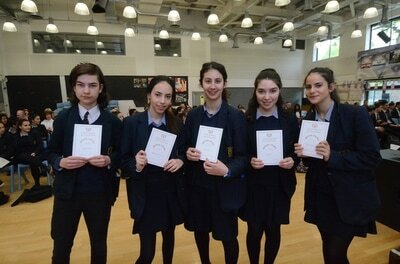 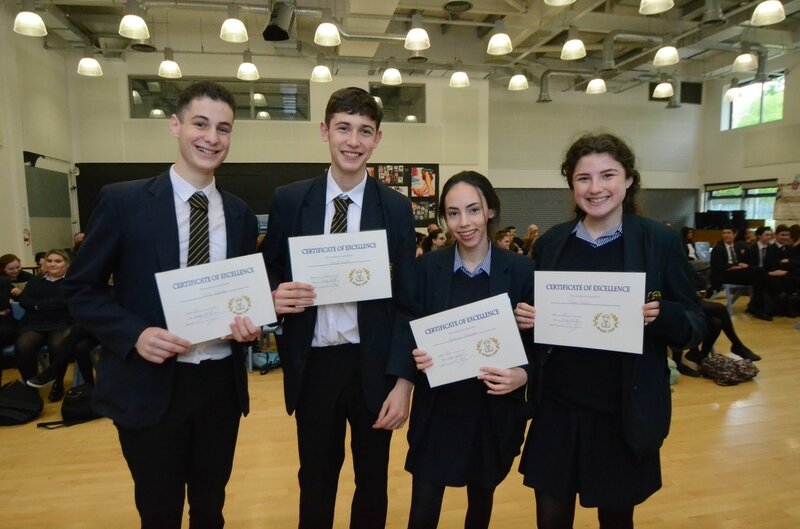 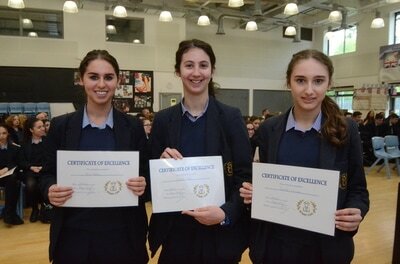 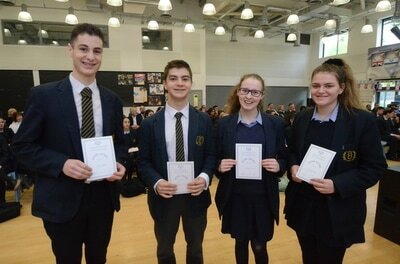 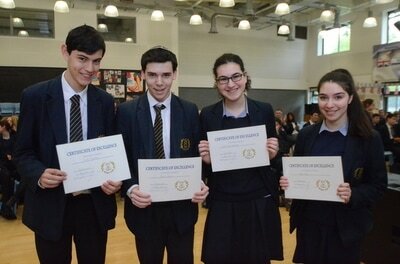 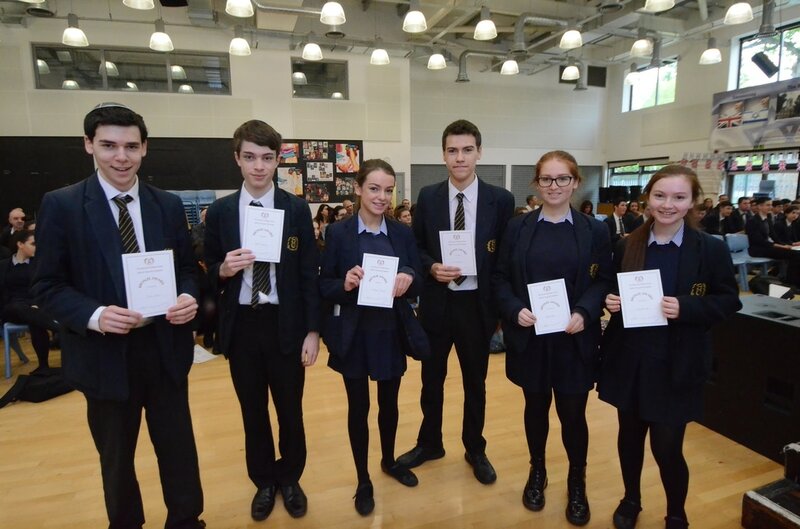 Well done to the prize winners and indeed to all of our students on their efforts.